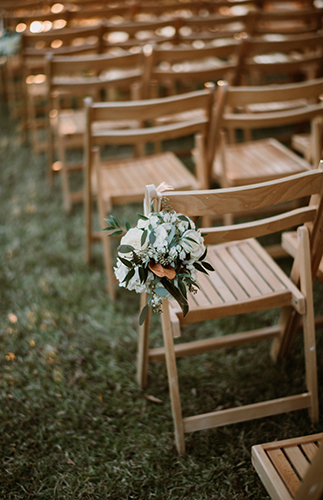 We can hardly contain our excitement! 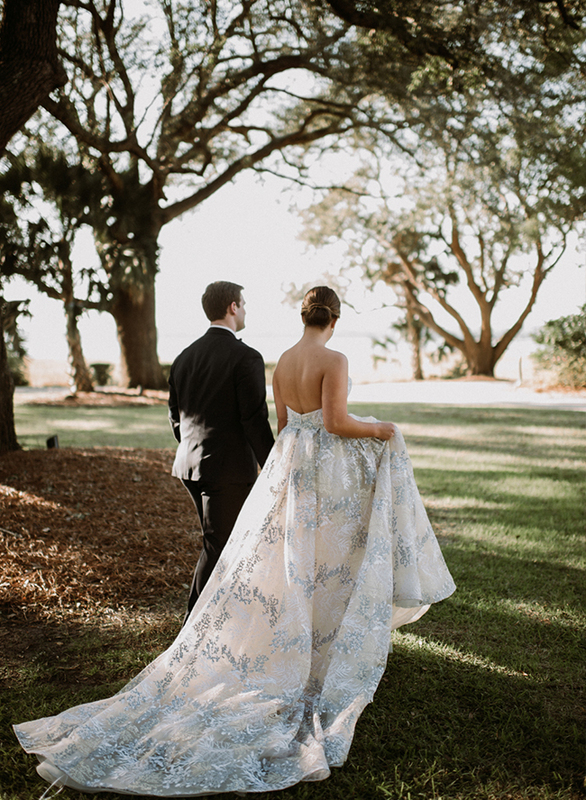 This Southern plantation wedding on IBT today features so many of our favorite things; a dreamy outdoor venue, Magnolia leaves, and the most beautiful blue gown!! 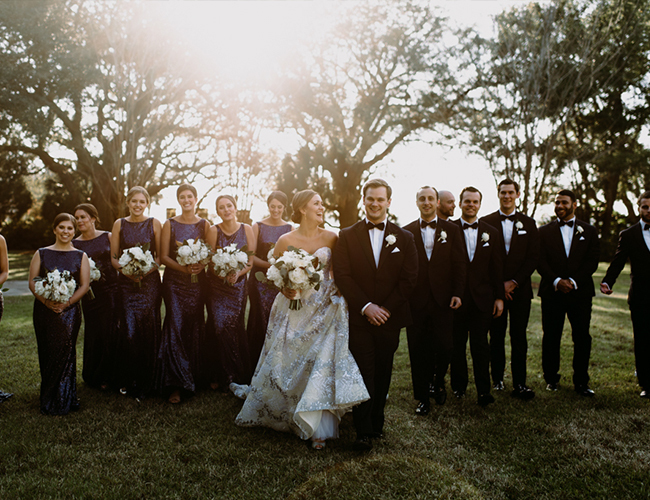 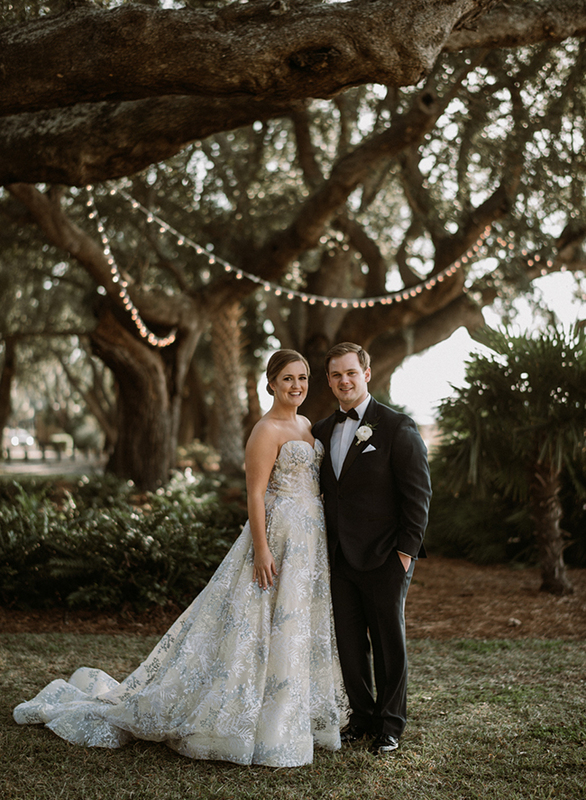 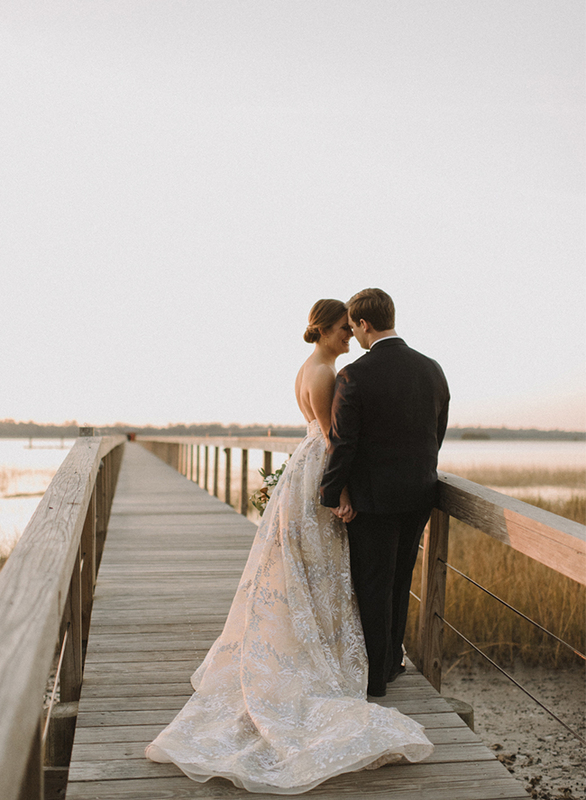 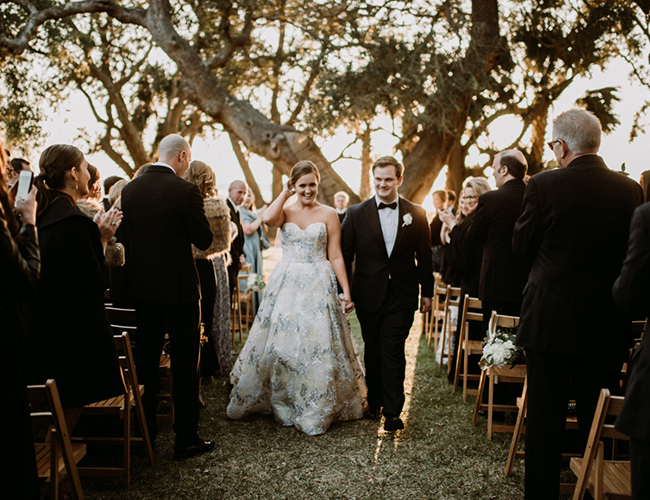 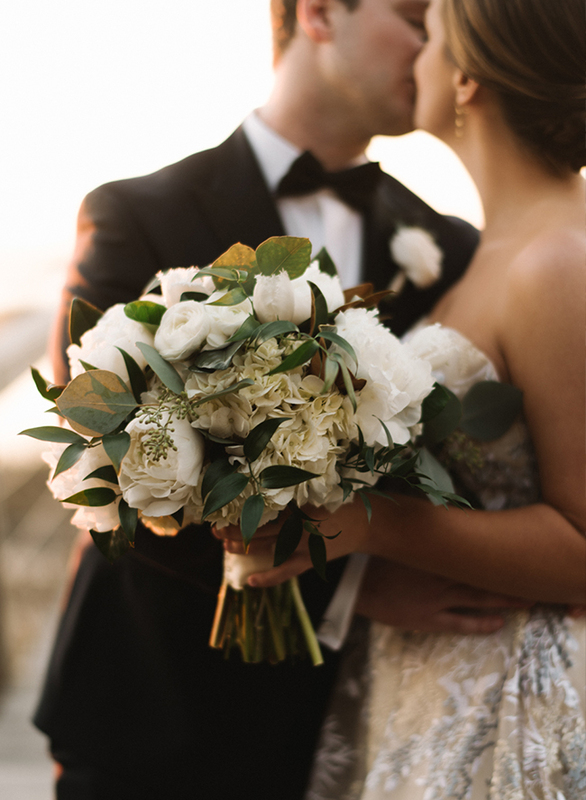 Starting with that gown… the bride chose a stunning sweetheart ball gown with silver and blue embellishment that trails from the bodice all along the length of the dress and shimmers as the golden sunlight hits it. 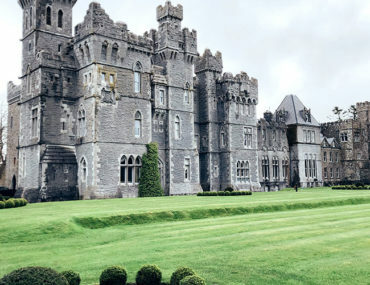 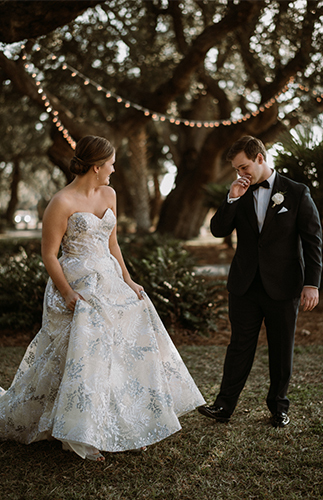 It’s beautiful in and of itself, but on her, creates so many jaw dropping, photo moments captured by Sean Money & Elizabeth Fay – just wait until you see her groom’s reaction! 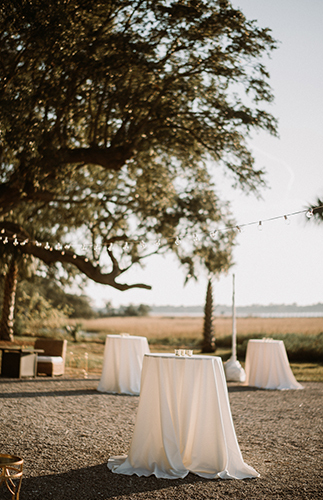 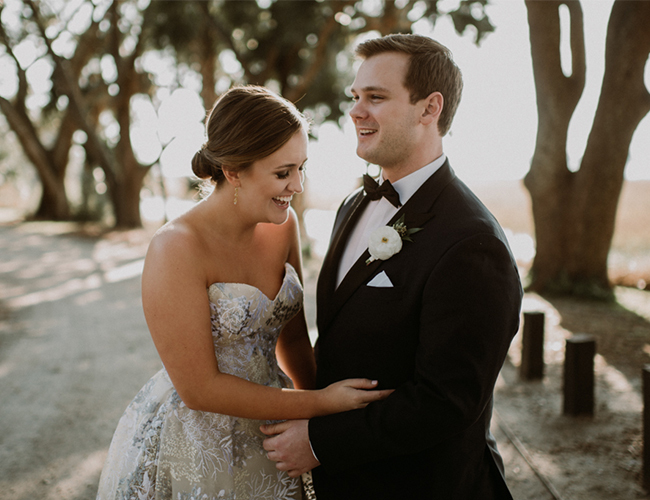 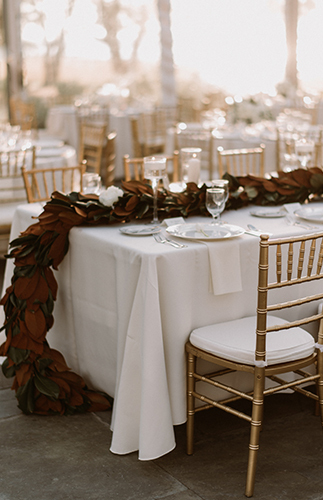 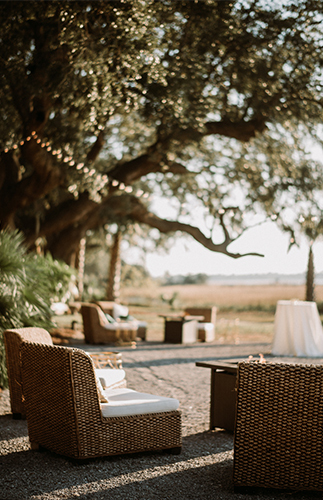 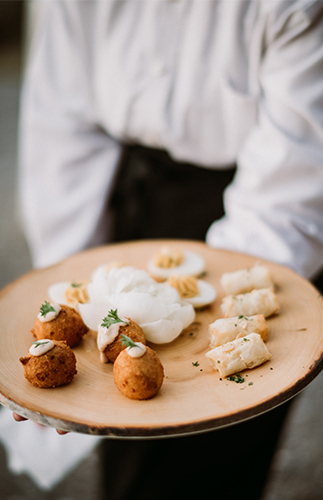 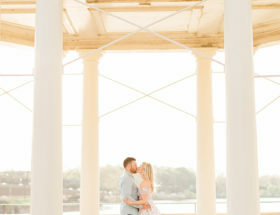 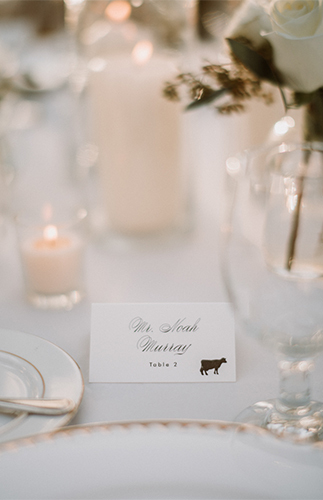 Designer & planner, Zoe, at Duvall Events says, Hannah & Eric met at College of Charleston their freshman year. 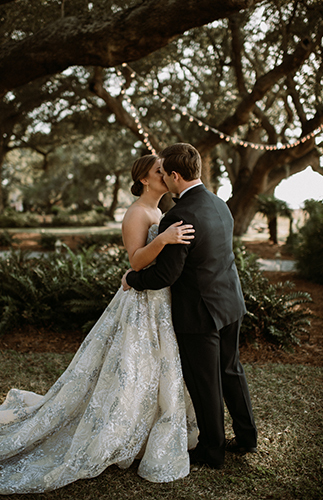 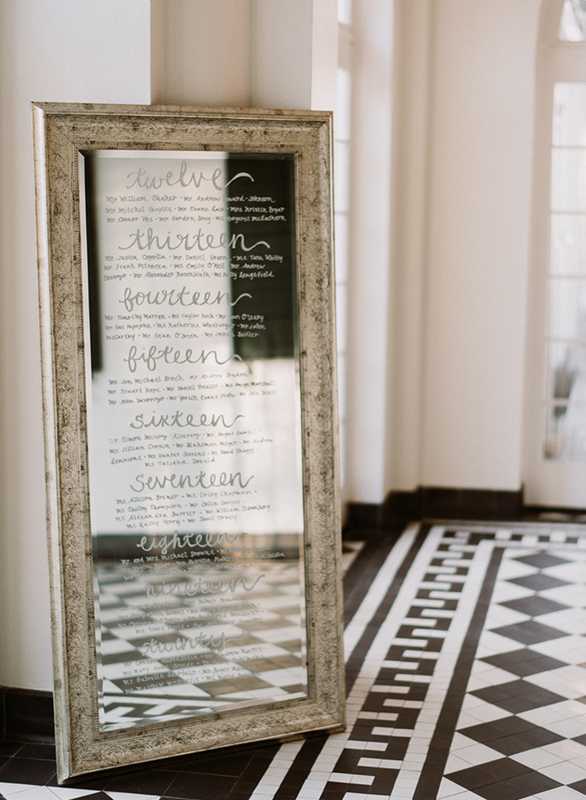 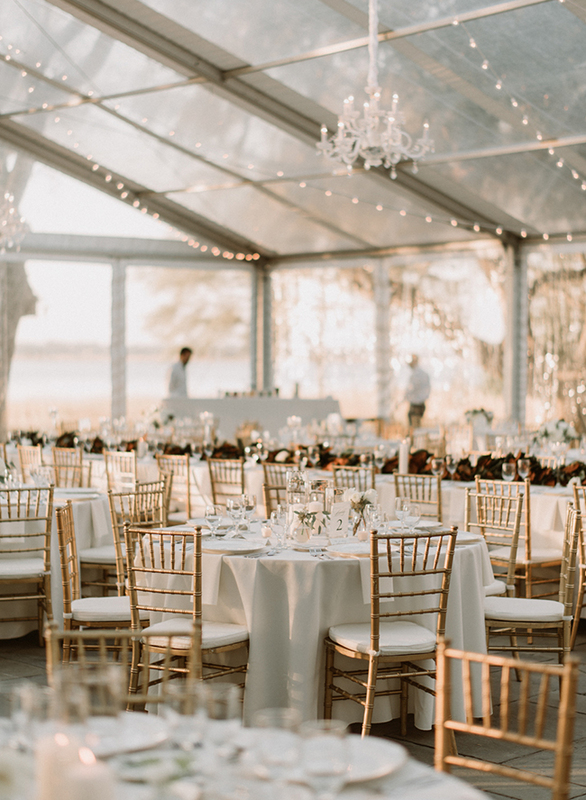 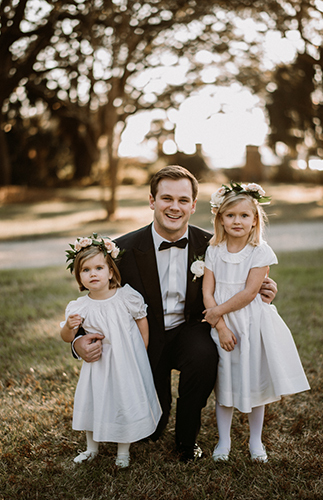 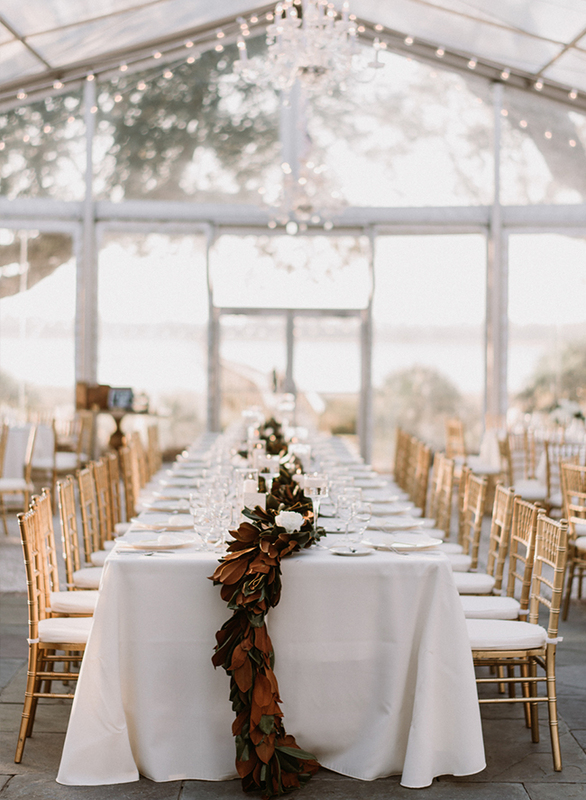 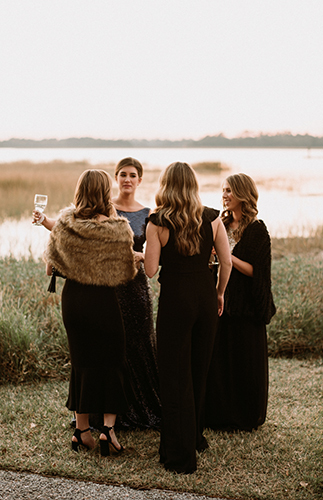 Flash forward almost eight years later and they had a stunning Winter wedding at Lowndes Grove Plantation. 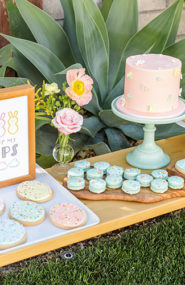 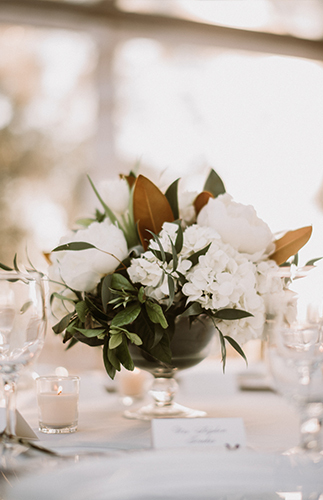 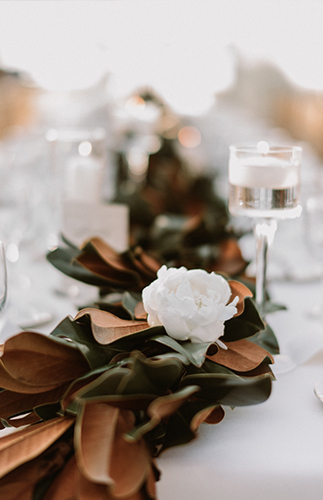 Their inspiration was Magnolia leaves with a winter neutral feel. 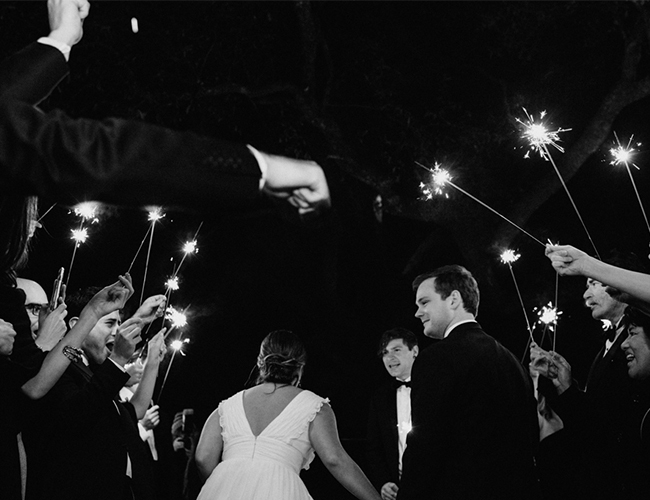 The lighting created a romantic magical evening for their guests. 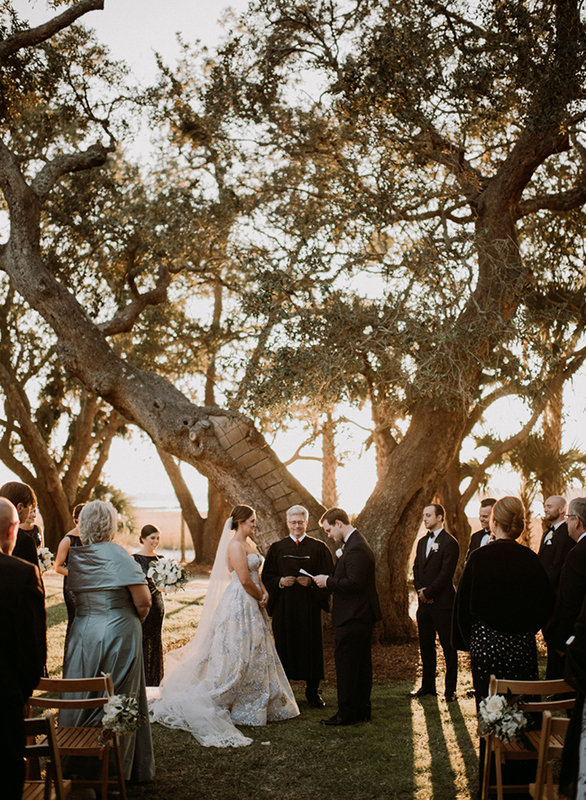 Love was in the air for all! 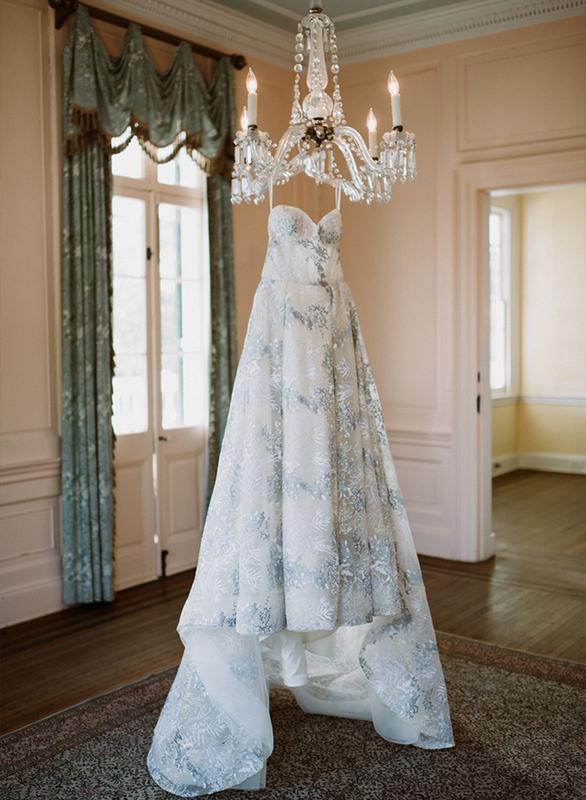 I meeeeean that gown is TDF! 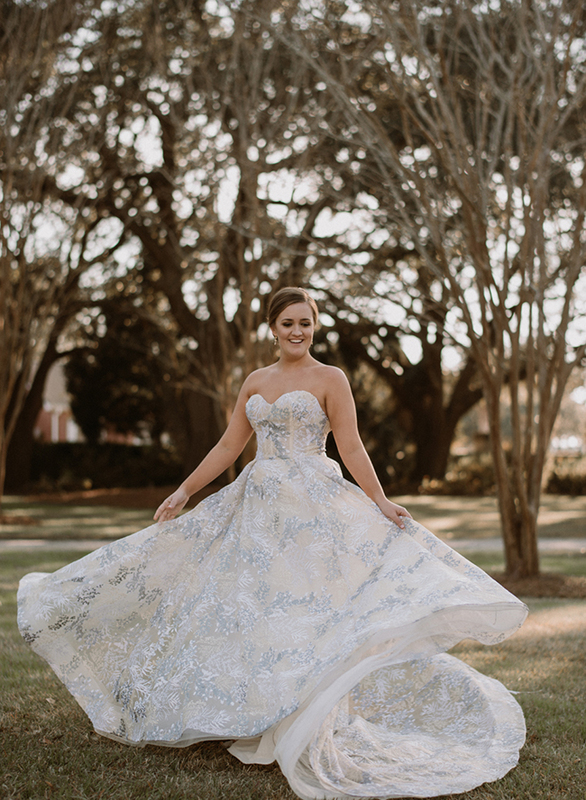 I am reeeeeeeeling over this dress! 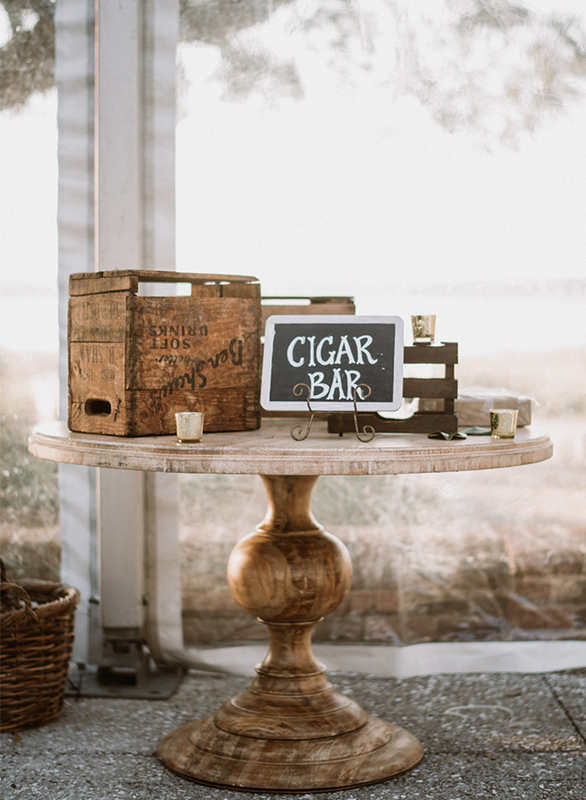 Also love the cigar bar!